Bananas are one of the most commonly available fruits in the world and are also considered as the fruit loved by people of all ages and cultures. Bananas are easy to purchase, within budget most of the time and most importantly – easy to consume, hence a fruit for lazy people. 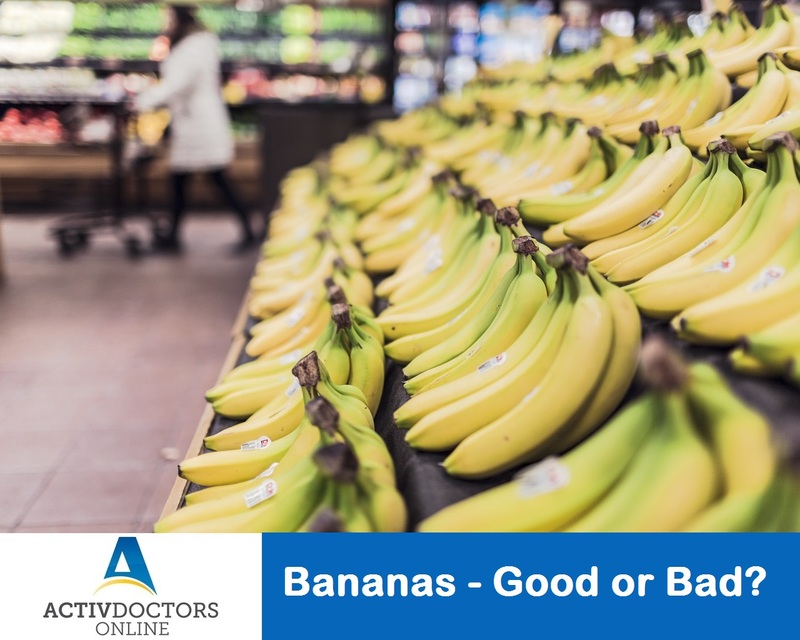 Though bananas are loved by many, a common question most wonder about is, “Are bananas good or bad for health?” The myths and facts make it tough to come to conclusion on if it is good or bad! Bananas are good for your heart. They are a very good source of potassium, which helps in regulating blood pressure and maintaining normalcy. Bananas are also a very good mood enhancer – they help in release of a hormone called serotonin that helps to overcome depression. Sleeping can be improved by consuming bananas as they contain vitamin B6 that helps in regularizing sleep. Magnesium in bananas helps to relax muscles and thus prevents cramps. Fiber rich content in bananas helps with digestion. Bananas also help with vision. Bananas though are not abundant in calcium, they help in keeping bones strong. Antioxidants present in bananas have cancer protection ability as well. Consuming bananas in moderation offers you good health, increased consumption renders bad health. It is therefore recommended, bananas are good in limited quantity and bad in large quantities. Everything in moderation works wonders for our health – including Bananas.